I am heading to Cambridge to see the exhibition #CarolineWatson (1760-1814) and Female Printmaking in Late Georgian England’. She is regarded as ‘the first British professional woman engraver’. Born in London she studied under her father, James Watson, an Irish engraver. She worked together with artists such as Sir Joshua Reynolds and used the techniques of stipple etching and aquatint. I have only one etching done by Caroline Watson – #BoywithBirdsNest. It was published in 1781 by John Boydell. It is after a painting by B. Murillo and at that time in the collection of the Duke of Norfolk. 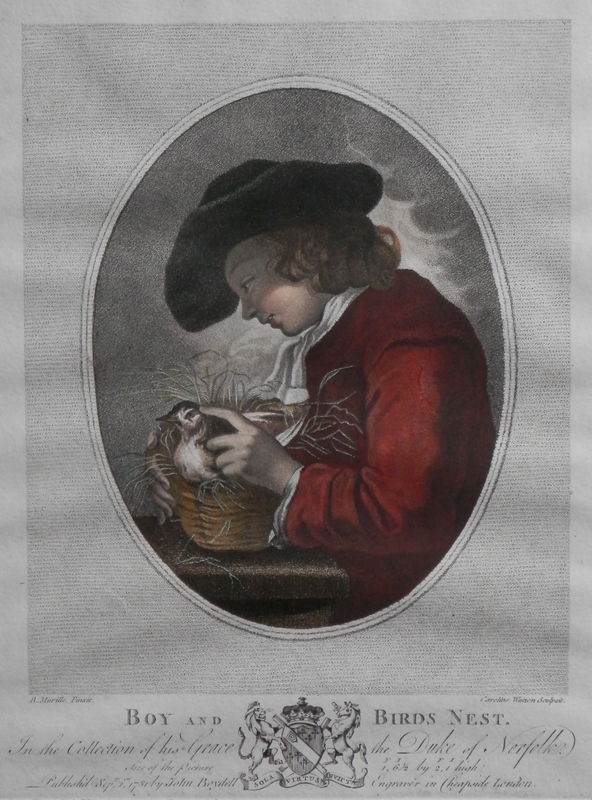 A combination of stipple and line engraving are the basis of this print and then finely hand coloured. After examining my print, I can understand why she is considered to be so good. She was a prolific and meticulous artist, working with and for the best artists and painters of her day. Against this, I wish to look at a father/daughter team of etchers. William and #LetitiaByrne (1779-1849). She and her older sister Anne studied engraving under their father, William. Although this etching is often attributed to William, we find Lititia’s name beside his in the accreditation beneath the image. 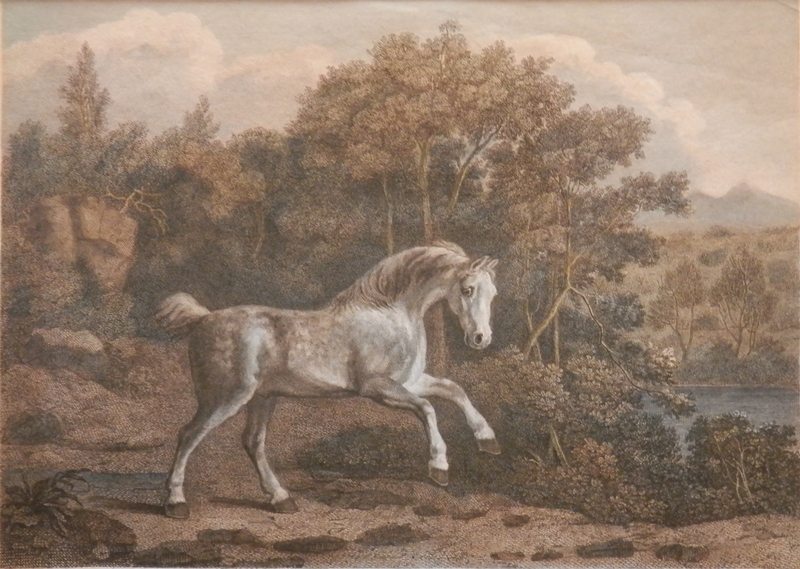 The etching is after a painting by George Stubbs, likely the most famous equine painter of his day. William was one of the finest landscape engravers of the late eighteenth century. Cross-hatching and free hand engraving with hand-colouring finish #PonyatPlay. It is considered to be among the best of his/their most famous individually published engravings. Only a couple of prints by ladies of great talent and I look forward to seeing more of their works in Cambridge at the Fitzwilliam Museum. On now until 5 January 2015. This entry was posted in Etching and tagged bird, forest, hat, horse, lake, nest boy. Bookmark the permalink.